Biathlon-in-a-Box, or BIAB, can be licensed for use by individuals or clubs, or by larger organizations that have constituent components. An example of the latter is Biathlon Alberta, which is comprised of a number of member Clubs as well as individuals who do not have a Club affiliation. A BIAB Divisional License allows any member of Biathlon Alberta to use BIAB – a feature of the all-inclusive Divisional License. Once you are licensed, updates for BIAB are free, except that there is an additional fee for existing licensees who got their license before v6 was launched. Version 6 and later versions incorporate third party intellectual property that had to be separately licensed. The extra fee associated with upgrading to v6+ was necessary due to the shareware that is essential to having BIAB gather data electronically from timing and target systems. 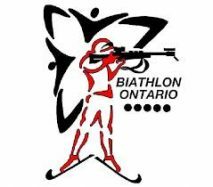 If you are interested in getting a license for BIAB, contact the Biathlon Ontario BIAB Support Representative, Graham Lindsay. The following organizations also hold Divisional licenses, but are only licensed for the older versions of BIAB due to the time they obtained their license. However, these organizations may upgrade to the latest version of BIAB by paying the special upgrade fee. A Single User License, which can be held by an individual or by a club, is $230. The license fee includes software updates and limited technical support. A Divisional License, which is intended for larger biathlon organizations which themselves have member clubs, is $310. This fee allows clubs and members of those clubs to use BIAB under the umbrella of the single license. The license fee includes software updates, but technical support is only provided to the organization that acquired the Divisional license. That organization has the responsibility to provide technical support to its own constituency. Any former licensee wanting to use the current version of BIAB, but who is only licensed up to v5.1.4, may upgrade its existing license for the fee differential; a one-time-fee of $80.